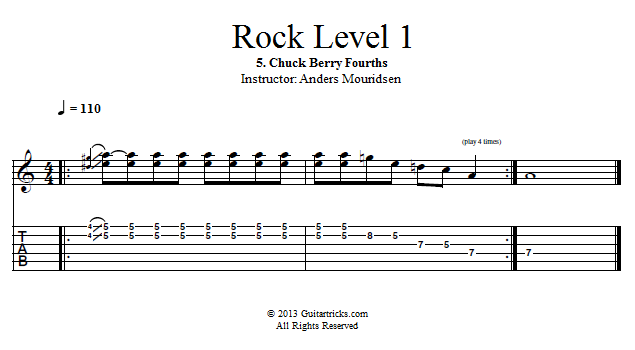 In this lesson I'll show you how to use the 4th intervals in a rock context. Once again, we'll derive the basic intervals from the major scale and then we'll move it up 3 frets to obtain the minor sound. When we do this you'll notice that the 4th's have an old school rock 'n' roll sound that's extremely useful in rock soloing.